This can also be a great gluten-free snack if you use gluten-free oats! I’ve made this banana bread 3 times in the last 3 weeks with slight variations, and it just keeps getting better! 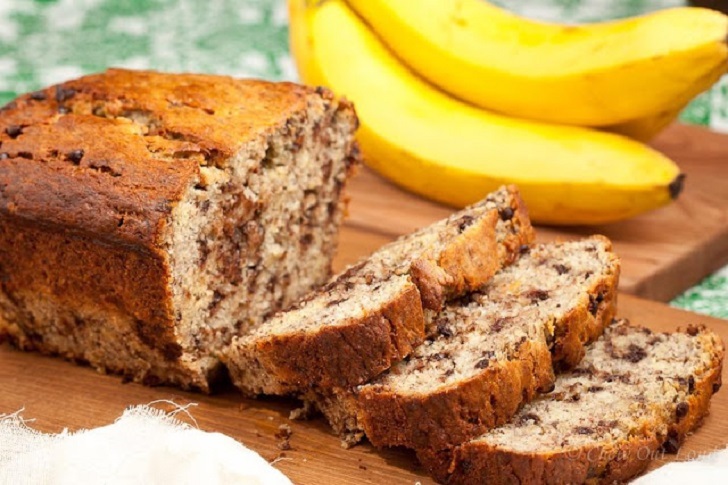 There are only FIVE ingredients you need to bake this great banana bread. It makes for a great breakfast, snack, or post-workout food. My favorite part of the banana bread is the texture. It’s the moist inside, along with the slight crunch if you add walnuts. ➥Preheat oven to 350°F. Lightly grease 9 x 5-inch loaf pan with non-stick cooking spray and set aside. ➥Add all ingredients in a blender and blend until smooth and well combined. Pour batter into prepared loaf pan. (Garnish the top of the batter with thinly sliced banana, if desired) Bake for 20-25 minutes or until a toothpick inserted in the center comes out clean. ➥Let the loaf cool completely in a loaf pan. Store bread in an airtight container in the refrigerator.